It’s made from roughly fifty-six percent recycled steel. It far outlasts other roofing types, so doesn’t have to be replaced as often; that means a lighter burden on precious natural resources. Its energy efficiency exceeds other roofing solutions. In fact, the government has recognized this advantage and grants an EnergyStar tax credit for installing many metal roofing types. It’s lighter in weight than shingles, shakes, or tiles. In many cases, that means you can install it right over an older roof – no need to tear it off and haul it off to a landfill. You can have almost any look you like – from sleek and modern styles to the look of traditional shakes, shingles or tiles. 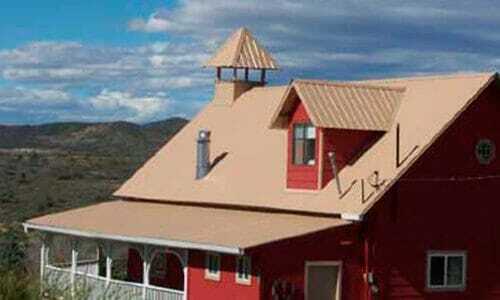 If you live in an area subject to wildfires, a metal roof is a must. It won’t burn, and it gives you the best protection available against wind-borne sparks and embers. It can also significantly lower your fire insurance premiums. If you live west of the mountains, you’re probably very familiar with mossy roofs. Because it doesn’t hold moisture like other roof materials, metal keeps moss from getting a foothold. 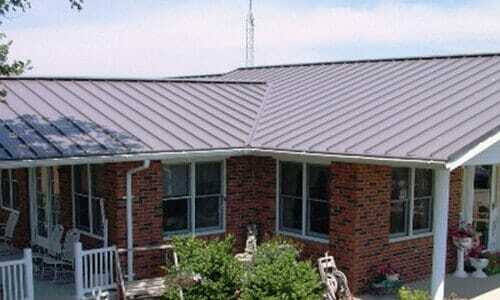 Metal roofing panels are treated with a special combination of coatings for high resistance to corrosion. Months on end of wet weather? No problem. 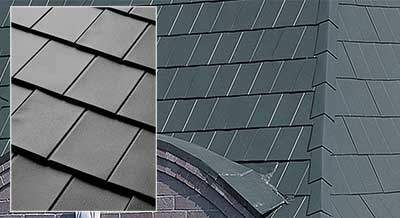 Looking for metal roofing in Oregon? We serve the entire Beaver State – Portland, Beaverton, Newport, Coos Bay, The Dalles, Salem, Corvallis, Eugene, Bend, Roseburg, Medford, Klamath Falls. Well, everywhere in between, too! And we’ll deliver your new roof right to your job site. Click here for details on shipping to your job site. Met-Tile provides a ceramic tile look with metal advantages.